Veteran Shirley Hall forwarded to us the details of bravery and the unselfish actions of Michael Anthony Monsoor. 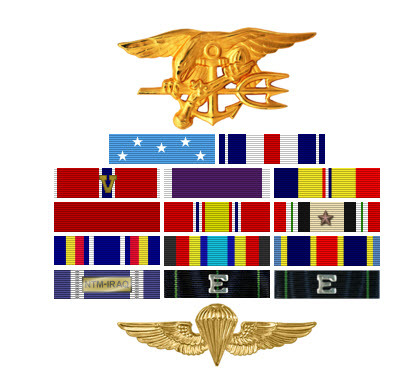 The following details were extracted from the wikipedia webpage (http://en.wikipedia.org/wiki/Michael_A._Monsoor) dedicated to this hero. Michael Anthony Monsoor (April 5, 1981 – September 29, 2006) was a United States Navy SEAL who was killed during the Iraq War and posthumously awarded the Medal of Honor. Monsoor enlisted in the United States Navy in 2001 and graduated from Basic Underwater Demolition/SEAL training in 2004. After further training he was assigned to Delta Platoon, SEAL Team Three. Delta Platoon was sent to Iraq in April 2006 and assigned to train Iraqi Army soldiers in Ramadi. Over the next five months, Monsoor and his platoon frequently engaged in combat with insurgent forces. On September 29, 2006 an insurgent threw a grenade onto a rooftop where Monsoor and several other SEAL and Iraqi soldiers were positioned. Monsoor quickly smothered the grenade with his body, absorbing the resulting explosion and saving his comrades from serious injury or death. Monsoor died about 30 minutes later from serious wounds caused by the grenade explosion. 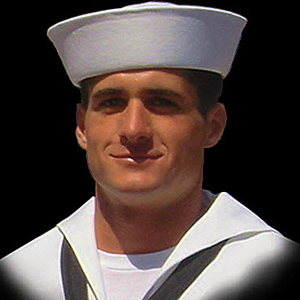 On March 31, 2008, the United States Department of Defense confirmed that Michael Monsoor would posthumously receive the Medal of Honor. 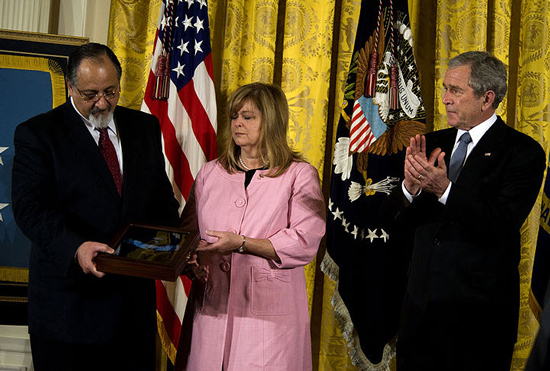 PresidentGeorge W. Bush presented the medal to Monsoor’s parents on April 8, 2008. In October 2008, Secretary of the Navy Donald C. Winter announced that DDG-1001, the second ship in the Zumwalt class of destroyers, would be named Michael Monsoor in his honor. Monsoor died September 29, 2006 in Ar Ramadi, Iraq and was described as a “quiet professional” and a “fun-loving guy” by those who knew him. He is buried at Fort Rosecrans National Cemetery in San Diego. During the funeral, as the coffin was moving from the hearse to the grave site, Navy SEALs were lined up forming a column of twos on both sides of the pallbearers route, with the coffin moving up the center. As the coffin passed each SEAL, they slapped down the gold Trident each had removed from his own uniform and deeply embedded it into the wooden coffin. For nearly 30 minutes the slaps were audible from across the cemetery as nearly every SEAL on the West Coast repeated the act.